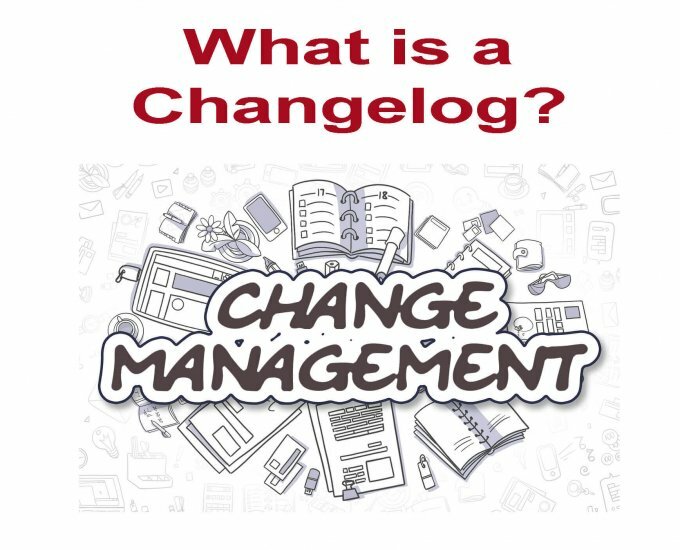 A changelog is a file with a list of changes, bug fixes, and new features that have been added to a particular piece of software. It is intended to be read by humans (as opposed to computers). It is segmented by version numbers (and release dates) in reverse chronological order. Higher version numbers indicate a newer release, and version 1.0 indicates a first release. Version numbers usually include one or two decimal points (such as 3.10.4) to indicate minor software releases. When developers comply with semantic versioning, you can decipher version number changes as “MAJOR.MINOR.PATCH”. For example, a release with a few bug fixes and no new features is considered a patch, and developers will only increment numbers to the right of the second decimal point. A complete rewrite with a change to the user interface is considered a major release, and warrants an major version increment such as from 3.10.4 to 4.0. In order to upgrade your WordPress site responsibly, it’s important to understand which plugin/theme updates are vital to your site’s security, and which are not. An update that includes security fixes should never be delayed, nor should those that fix bugs affecting your site. Updates that only include new features, however, can be done at your convenience. To know the difference, you need to look at changelogs. You will find a link to each plugin/theme’s changelog in your control panel on the WordPress Updates page. 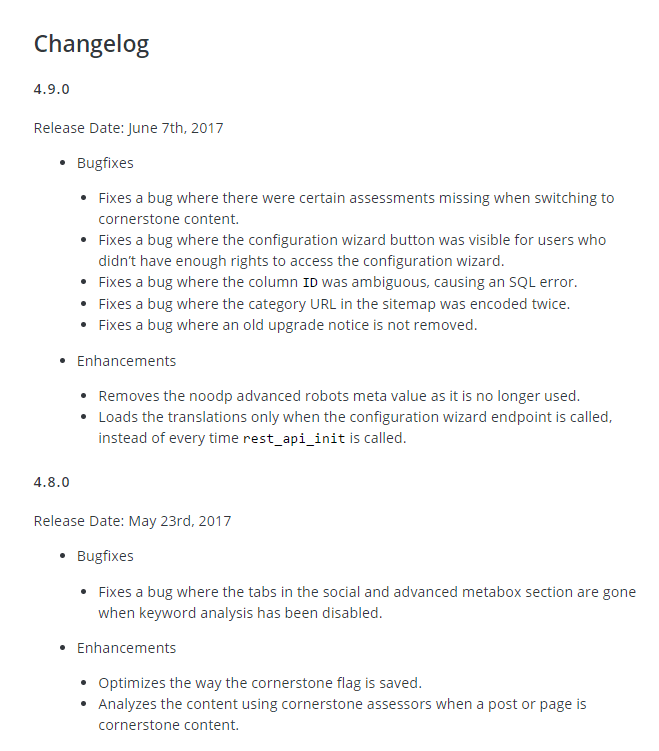 Although there are best practices when it comes to creating and maintaining a changelog, there is no standard, so changelogs do vary. If you are a developer, and want to dive further into changelog best practices, jump on over to Keep a Changelog; for more on Semantic Versioning read SemVer. Here is a sample of the changelog from my favorite WordPress SEO plugin from Yoast.